The perfect, characterful blank canvas backdrop to your special day. A late 16th century barn forming part of the historic Alswick Hall Estate, lovingly restored to a stunning contemporary event space for exclusive hire. Nestled within the beautiful Hertfordshire countryside, conveniently situated for access, it is the perfect place for your wedding day dreams to become a reality. With a small dedicated team of Event Planners, The Barn at Alswick walk their couples through the planning process and ensuring their day runs seamlessly allowing them to simply focus on enjoying their day. “We know weddings are expensive and keeping on budget whilst still achieving your dream day can be tough, so we want to ensure that our couples know their true venue costs upfront”. In keeping with offering an exceptional experience, The Barn also has access to the huge stunning private gardens of Alswick Hall, with endless hidden gems it gives couples the opportunity to make their wedding photography unique and special to their day. They hold a limited number of weddings each year, enabling them to offer a truly exclusive experience for all their couples, who can enjoy being fully centre stage. The Barn prides itself on offering a simple pricing structure to allow couples to maintain control over the all-important wedding budget. With only two mandatory elements required from the Barn (venue hire and drinks packages) everything else is the couple’s choice. 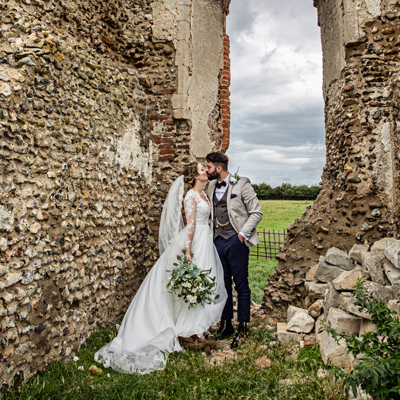 Husband & wife team, Matt and Kay Hamilton-Crook, launched The Barn at Alswick in 2017 with the wish to provide a really personal approach to hosting weddings. Firstly what a beautiful venue surrounded by stunning gardens. Kerry & Kay were so lovely and helpful and really made our day a lot easier to organise. Having never planned a wedding before I asked a lot of questions and they were always so fast to reply and guide me in the right direction. The fact you can choose your caterer is also another added bonus as we could choose the food we wanted rather than had to have. Can not fault the day (other than the weather) everything was seamless and smooth - what a brilliant team. A HUGE tank you from the bottom of both our hearts. You did such a fantastic job for our big day, we couldn’t dream of a different or better venue for our wedding reception. The venue looked amazing on the day and the staff were great, especially Judy she made everything run so smoothly and made everything look so easy. Thank you for accommodating all our requests and making this day perfect and unforgettable. Our wedding was enjoyed by everyone we've spoken to! We had a fantastic time and everything went so smoothly that we felt we could relax and really enjoy our day surrounded by family and friends. Thank you for your organisation, work behind-the-scenes including with our suppliers, and for being so reliable and flexible. Everyone we've come across at Alswick has been so friendly and absolutely lovely to work with. The Barn itself is such a beautiful building and will forever be special to us. It also looked great with all the candles on tables and in the windows! Overall, a massive thank you from us both. We were looking for a venue where we could have the flexibility to have the kind of wedding that we wanted, which was very informal with exclusive-use. The Barn ticked both boxes! Kay, the Alswick team and their handpicked suppliers made our day the best it could be. Nothing was too much trouble. We were listened to all the way through our planning, being guided at the same time by their extensive event management expertise, whilst still feeling in control of our special day. This made the whole experience stress free and allowed us to really throw ourselves into our day and enjoy it (something that you hear few newlyweds say after the event!). 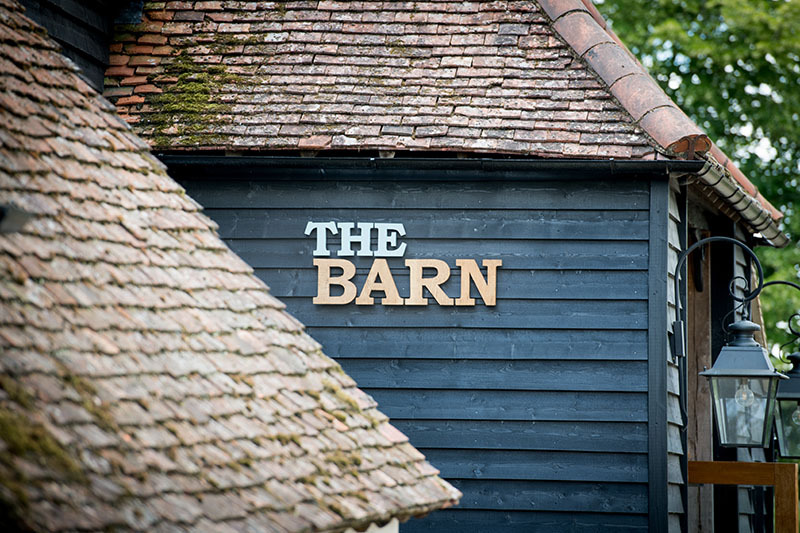 I would really recommend taking a look at the Barn - you will instantly fall in love with the beautiful setting, lovely, professional team and it is truly a blank canvas that you can make your own for a truly memorable day. So many of our guests have complimented us on the best wedding that they've ever attended! Kay, Matt and their team helped make our wedding the happiest day of our lives! From the initial meeting, they were very flexible and happy to discuss all our ideas. As the day approached, they were incredibly supportive and offered invaluable advice with the planning, schedule and all the other important details. On the day itself, they ensured everything ran smoothly with calm professionalism and precision, so we felt relaxed at all times and able to enjoy our day to the full. All our guests commented on how beautiful the venue looked and how much they enjoyed the reception and party. Cannot thank you enough for making it all possible! We have just had the most fabulous wedding at The Barn at Alswick. Kay and Kerry were an absolute joy to work with and made the whole process enjoyable from start to finish. The Barn is exquisite inside and the day went smoothly. Kay and Kerry went above and beyond to ensure that we had a great time and all of the staff on the day were incredibly professional. The wonderful thing about this venue is that the bar and dance floor are all in the same space meaning that everyone danced and mingled together. There is also a lovely room upstairs where we could finish getting ready in the morning. I couldn't recommend this venue highly enough and I only wish that we could do it all again! Thank you.